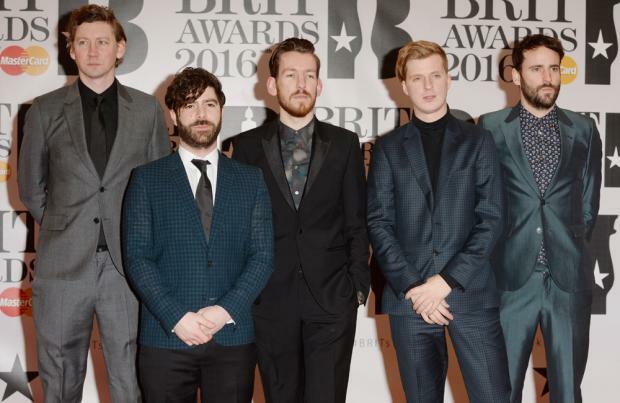 Foals' Jack Bevan says the band were "raring to go" with their new album. The indie rock band recently dropped their first release since 2015, 'Everything Not Saved Will Be Lost Part 1' – with' Part 2' coming this spring – and the group's drummer admitted that, following a year-long hiatus, the group has a "creative build up" and so were able to produce content "quicker than normal". In an interview with Music Feeds, Jack said: "Yeah, it was kind of exactly that. After we finished our last album, we were so tired because we'd basically played back-to-back tours of 'Holy Fire' (2013) and 'What Went Down' (2015). "We took a whole year off and I think when we came back, it was the first time we'd really had a break so we were rearing to go. "I think having that time off gave us a bit of a creative build up. So when we went into the studio, it just came quicker than normal. Jack added that the group – which also includes Yannis Philippakis, Jimmy Smith, and Edwin Congreave – "never set out" to make a double album however they felt like they "couldn't edit" their tracklist down. He said: "We never set out to make a double album but I think we got to a point where we had finished 20 tracks and we were like 'I don't think we can edit this down to 12 or whatever to put on a record' We felt like we wanted to put it all out. "I think we also felt that in the past, as we only tend to make a record every three or four years, like 'Great! We get to put more tracks out, the fans get to hear more music and we get to play more songs live'. It's really satisfying for us to have that extra output."